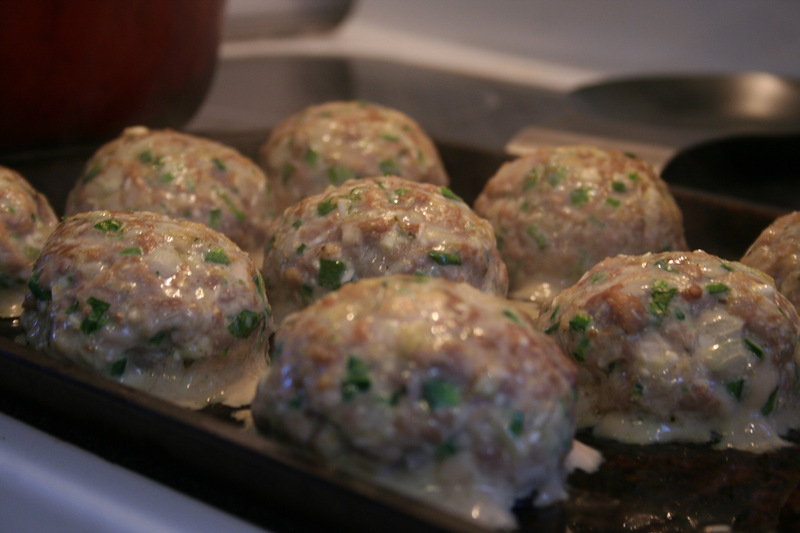 These meatballs are made with ground chicken and pork. 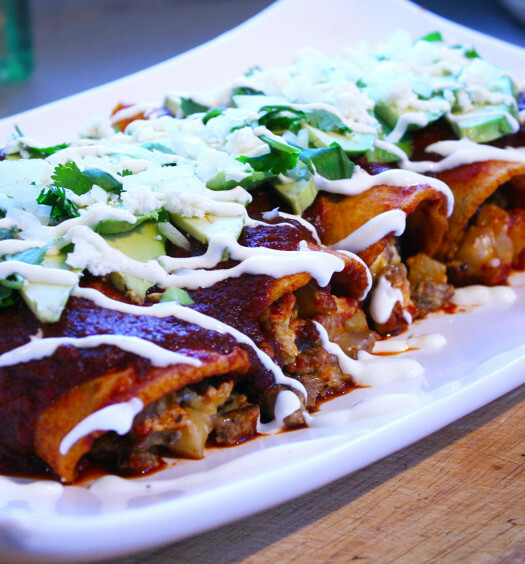 They’re started in the oven and then finished by simmering in tomatillo salsa. 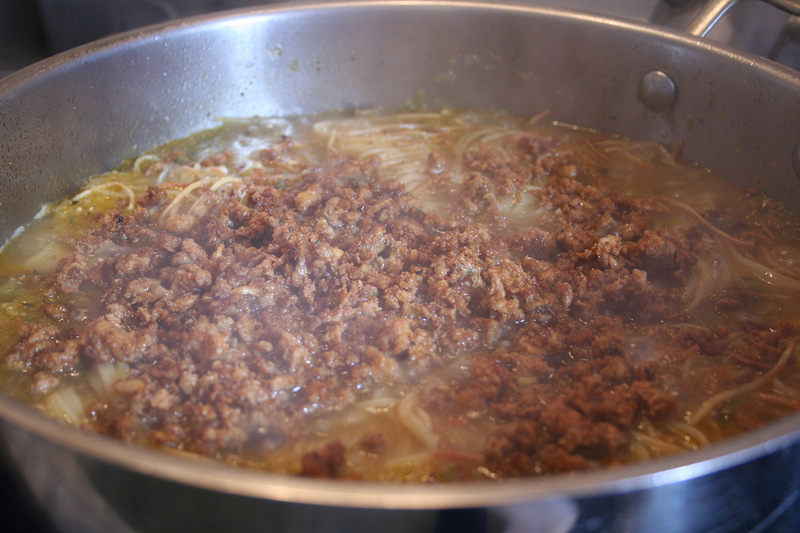 The pasta is cooked with chorizo and chicken stock and a bit of tomatillo salsa. 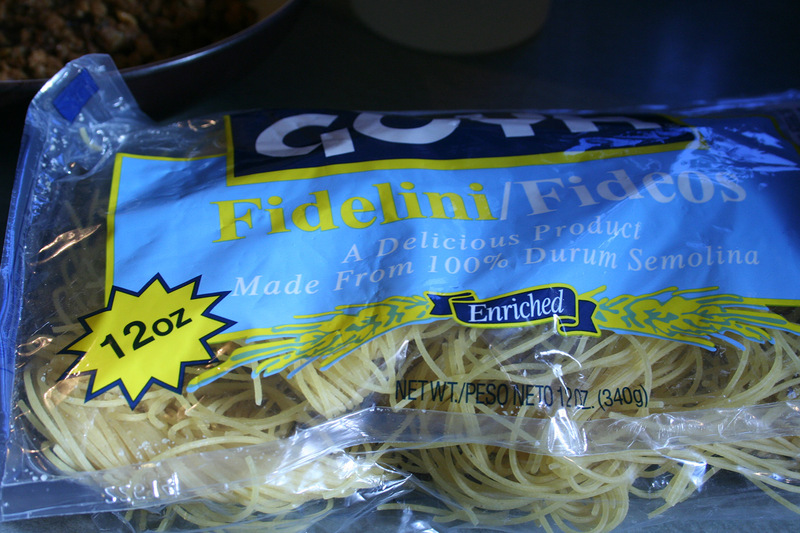 You pan fry the pasta before cooking it down in the chicken stock. You end up with an incredibly rich pasta that’s coated with tasty chorizo bits. Preheat oven to 375º. 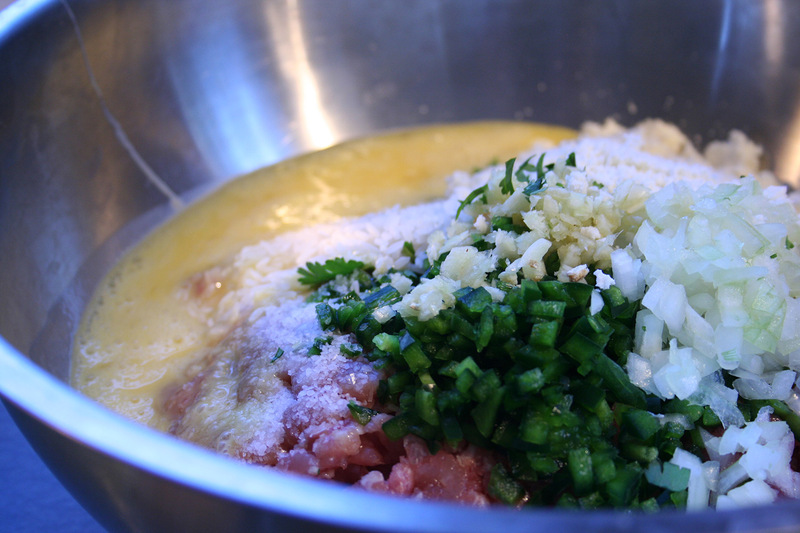 In a large bowl, combine all the meatball ingredients up to the kosher salt. Form balls using a heaping 1/4 cup of the mixture. Place on a rimmed baking sheet that’s been lightly oiled. Bake for 20 minutes. 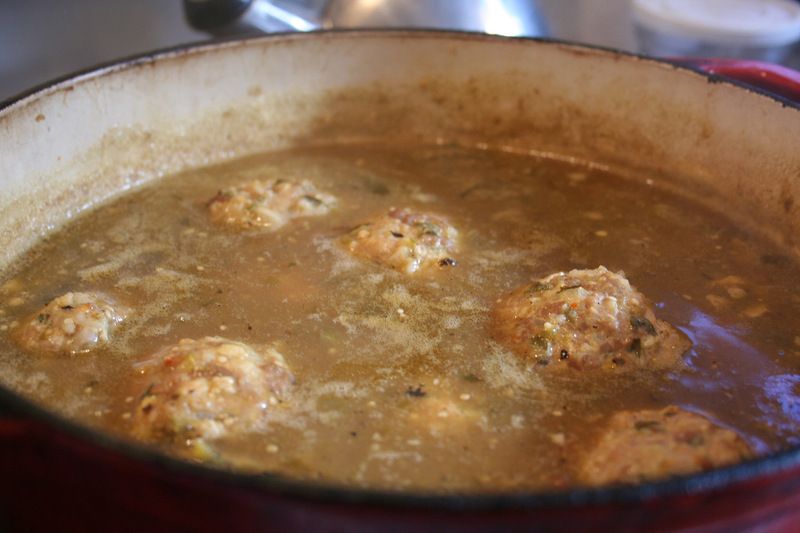 In the meantime, combine the tomatillo salsa and chicken stock in a medium stock pot or dutch oven. Bring to a simmer. 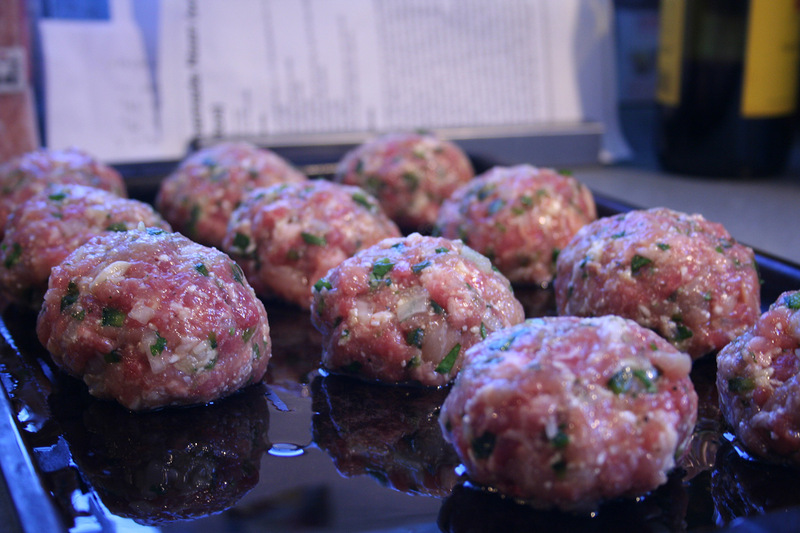 Once the meatballs are out of the oven, add to the pot and simmer for 50 minutes. Stir occasionally, making sure to scrape the bottom so the mixture doesn’t burn. Add the onion, garlic, poblano, and tomato to a blend and blend until smooth. Heat 1 Tbsp olive oil in a large pan and heat over medium heat. Add the chorizo and break apart with a large spoon. Fry for 4 minutes until nicely browned. Remove the cooked chorizo to bowl. 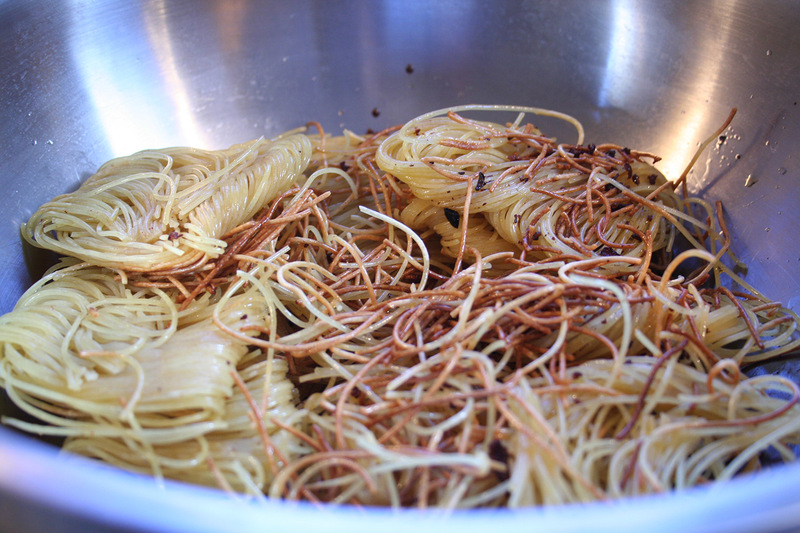 Add the uncooked pasta and cook 2-3 minutes until lightly browned. Remove from the pan. Add the blended vegetables to the pan and cook for 3 minutes. Add the tomatillo salsa and the chicken stock and bring to a boil. Stir in the pasta, lower the heat to medium, cover and cook for 6 minutes. 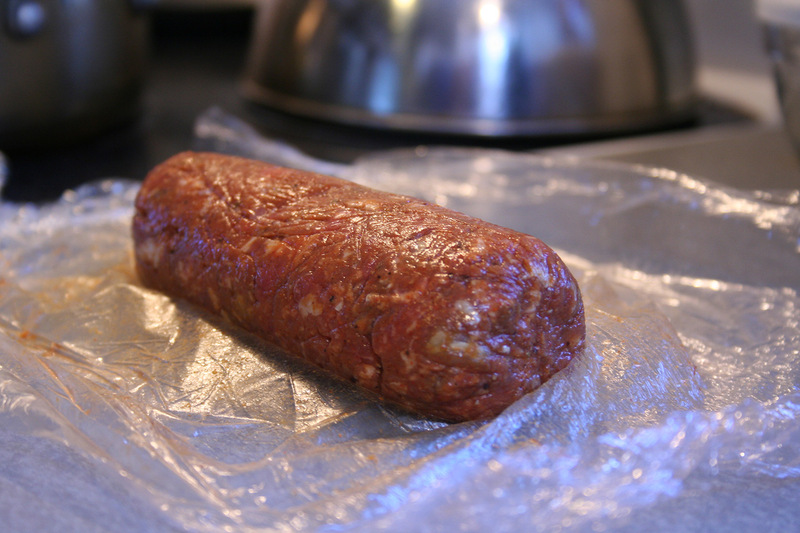 Remove the cover and stir in the cooked chorizo. Continue to cook a few additional minutes until the liquid is absorbed. Stirring occasionally. 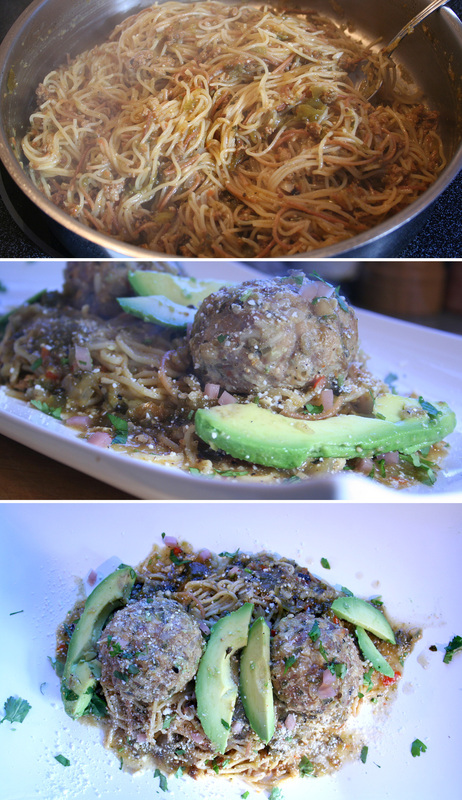 Serve the pasta with the meatballs and some of the sauce you cooked the meatballs in. 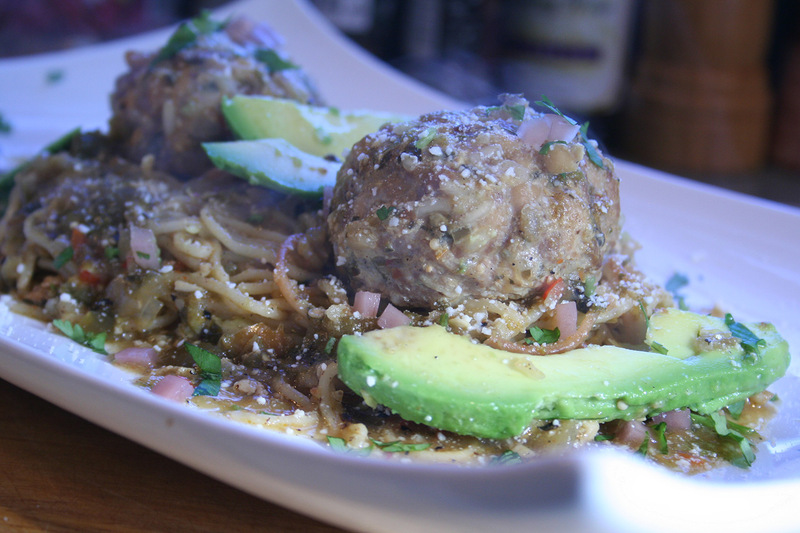 Garnish with some cotija or parmesan cheese, minced cilantro, and sliced avocado. Awesome. 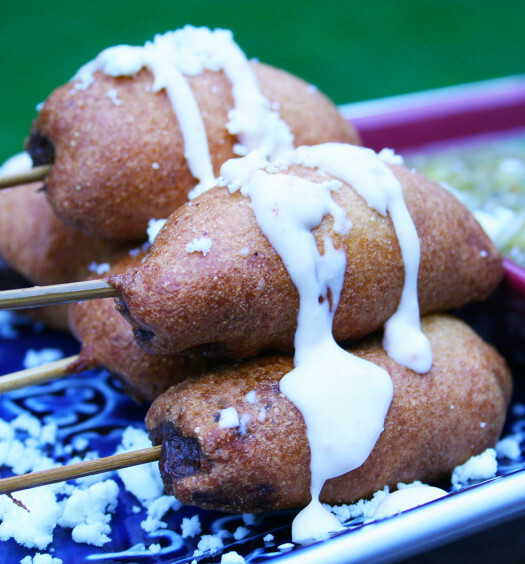 The meatballs are inspired from a wonderful recipe in the cookbook Tacolicious.